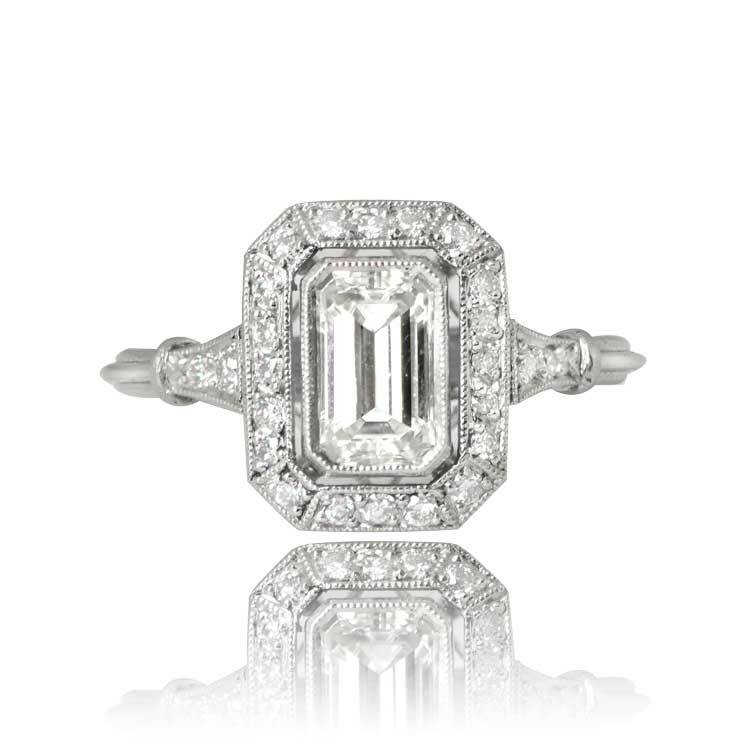 An emerald cut diamond engagement ring that features a 0.70 carats emerald cut diamond, H color, and VS2 clarity. 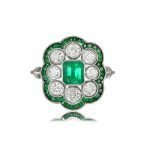 This ring is surrounded by a row of old cut diamonds with a total additional diamond weight of 0.30 carats. 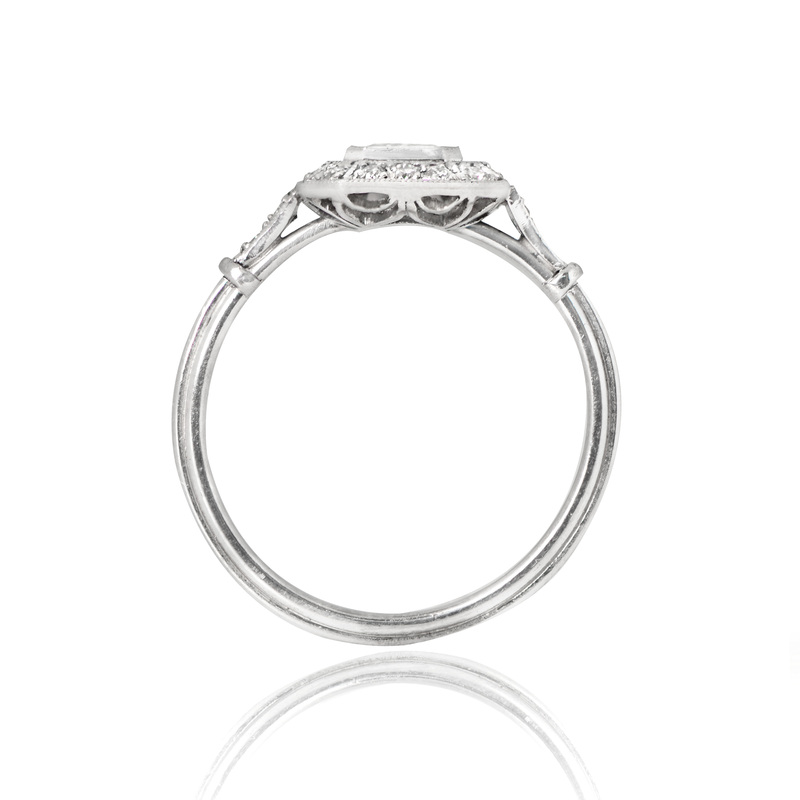 This platinum ring features a decorated under-gallery and a triple wire-shank. 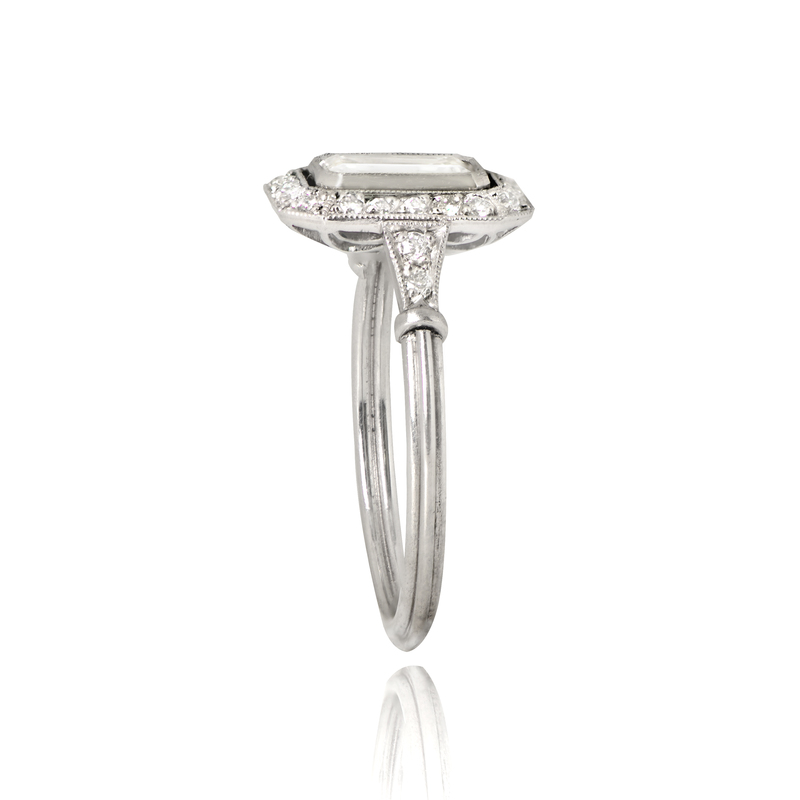 The measurements of this ring with the diamond halo are 11.75mm x 9.46mm. If you have any questions about our Tivoli Ring, please feel free to contact us. 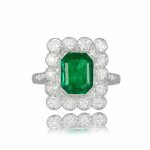 SKU: 12167 Category: Emerald Engagement Rings - Contact us and request additional pictures.